The National Assembly started to worry about this violence, and since they had become an unofficial government of France at the time, they realized they needed to stop it in some way. The numbers of the Assembly would increase dramatically in the early days of the Revolution, most of which would be lawyers, or in some way connected to the legal profession. The group would officially end Feudalism (August 4th) in an official attempt to take power away from the nobles. This would end all taxes and end the need for attacking nobles to burn the debt paperwork. The rich that hadn’t fled the country often claimed that they wanted to give up their power voluntarily due to their beliefs in enlightenment ideas. Whether this was true or an attempted power grab, these men would largely take control of the revolution for themselves. The National Guard would become a powerful component of the government also, being a group of mostly middle class military men under the leadership of Lafayette. Lafayette also became an important part of the National Assembly and was tasked with the job of being the architect of the new French constitution. 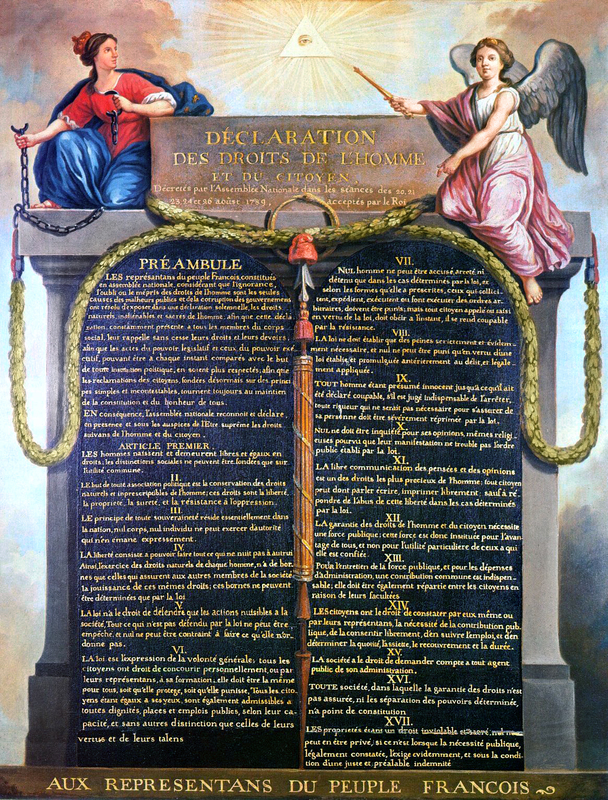 They would create a statement of principles that was called The Declaration of the Rights of Man & the Citizen (1789), which most people think is a constitution but it actually had no legal effect. So this document is a strange balance between a statement with no power and a constitution, which was how many of the people felt about it. Lafayette would not write this without help though, he received a great deal of help from his friend Thomas Jefferson while creating it. Kings power away and made him a speed bump on the way to change.